Musical sound moreover moves the body by the movement of the air; by purified air it excites the airy spirit, which is the bond of body and soul; by emotion it affects the senses and at the same time the soul; by meaning it works on the mind; finally, by the very movement of its subtle air it penetrates strongly; by its temperament it flows smoothly; by its consonant quality it floods us with a wonderful pleasure; by its nature, both spiritual and material, it at once seizes and claims as its own man in his entirety. Alex Ross has a fruitful thread questioning media stories which trumpet scientific research into how music works and how it "makes us feel." To which I contribute the research above which comes Marsilio Ficino, the humanist philosopher who lived from 1433 to 1499. 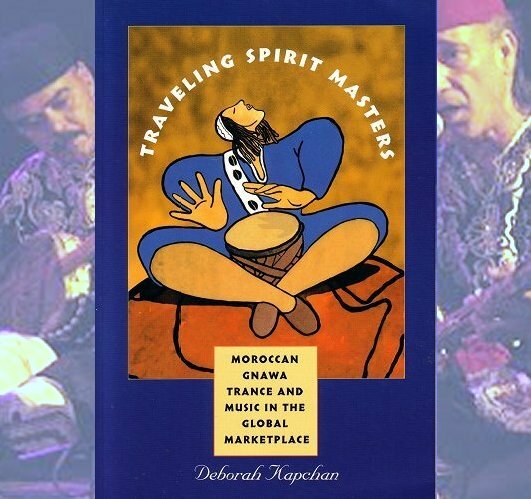 The quote appears in 'Traveling Spirit Masters, Moroccan Gnawa Trance Music in the Global Marketplace' by New York University professor Deborah Kapchan. This book received a brief heads up in a February post and I recommend it highly as a syncretic complement (and also compliment) to The Rest Is Noise. 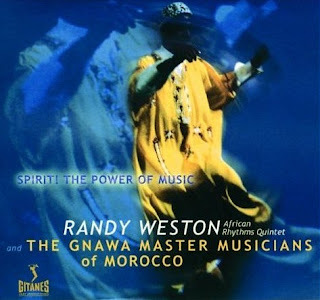 Deborah Kapchan's discussion of musical magic in history, from which the quote is taken, is essential reading, and there is a valuable section on African American pianist and composer Randy Weston's collaborations with Gnawa musicians - see below. That striking illustration on Traveling Spirit Masters comes from the programme for the 1999 Gnawa Festival in Essaouira, one of my favourite 'thin places' and a locale steeped in music and magic.